Tucked away in a cove in New Taipei's Wanli District, Guihou Fishing Harbor is a cosy fishing village on Taiwan's northern coast. 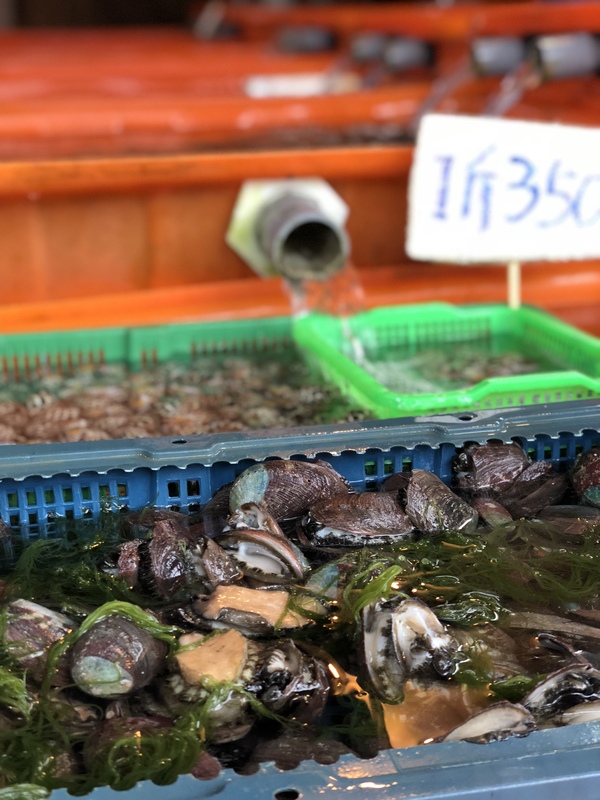 Many flock to the village's "Fishermen's Market" throughout the year to sample some of its must-try seafood. 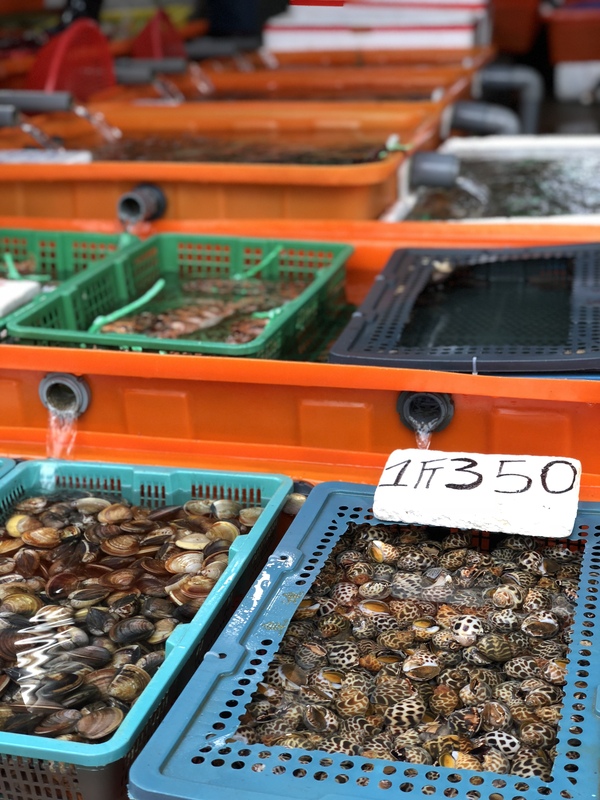 Customers can pick live seafood from the many stalls in the wet market and then choose from the variety of kitchens at the market to have it cooked. 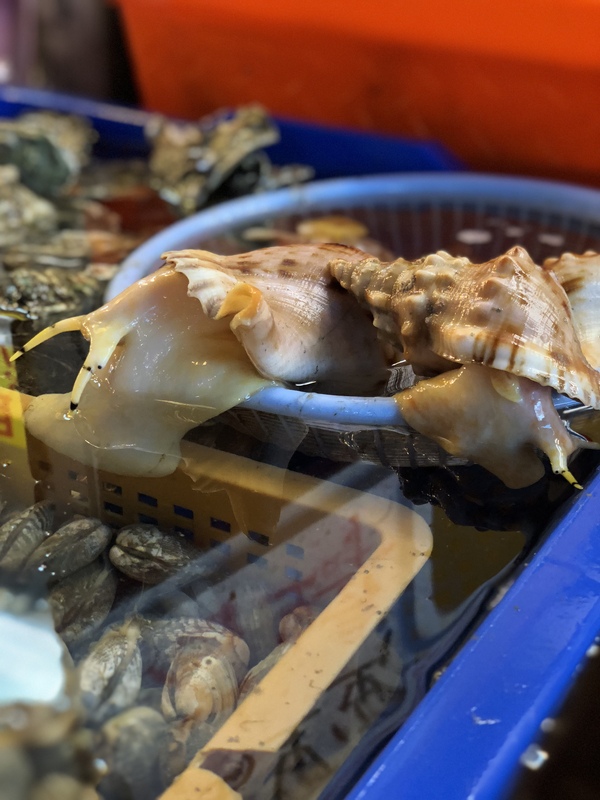 Baskets of shells, clams and abalone line the wet market and are bought by the catty (斤), a traditional local unit of weight equal to about 600 grams. 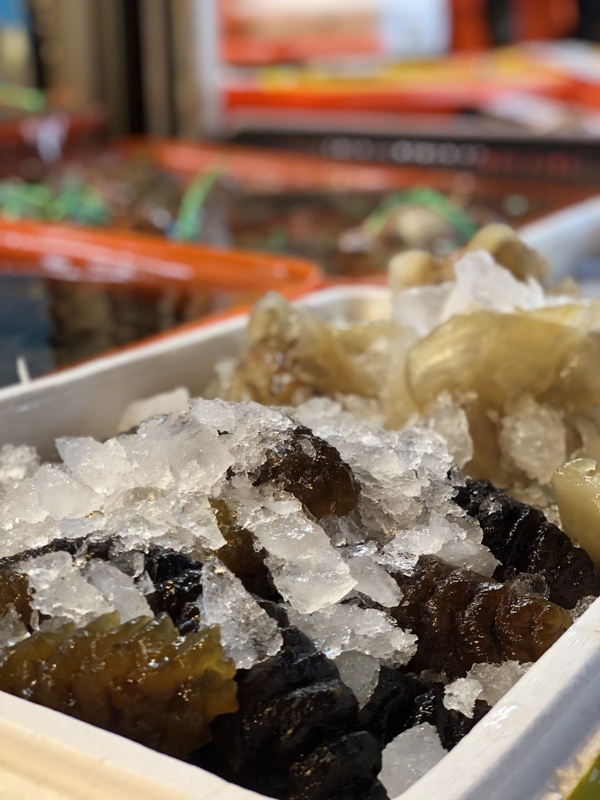 Colorful abalone mixed with fresh seaweed are among the big sellers. The sea creature is a species of sea snail with a long and oval shell that has roughly nine perforations. Sea cucumbers, with soft and cylindrical bodies, are seen covered in ice packed in a carton. 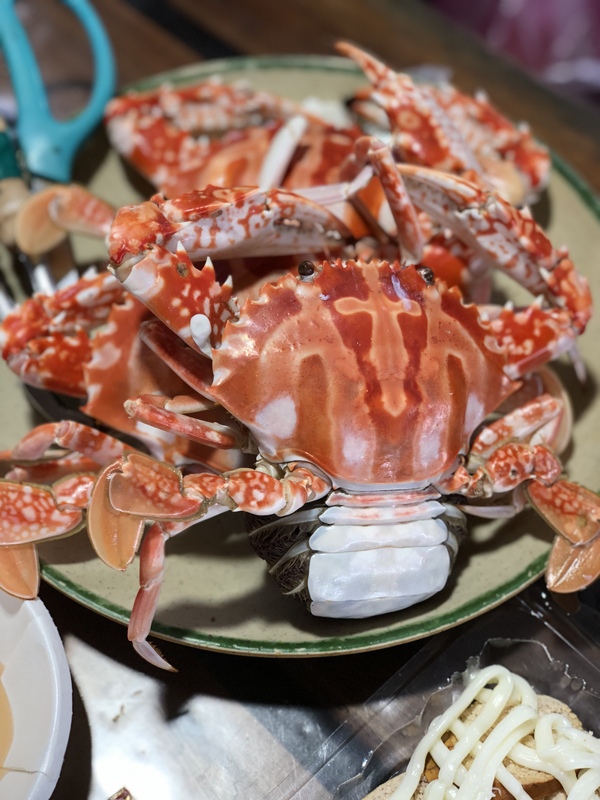 The Wanli Crab, the name for the wild sea-crab caught in New Taipei's Wanli District, covers three species -- the flower crab, the three-spot crab and the stone crab. 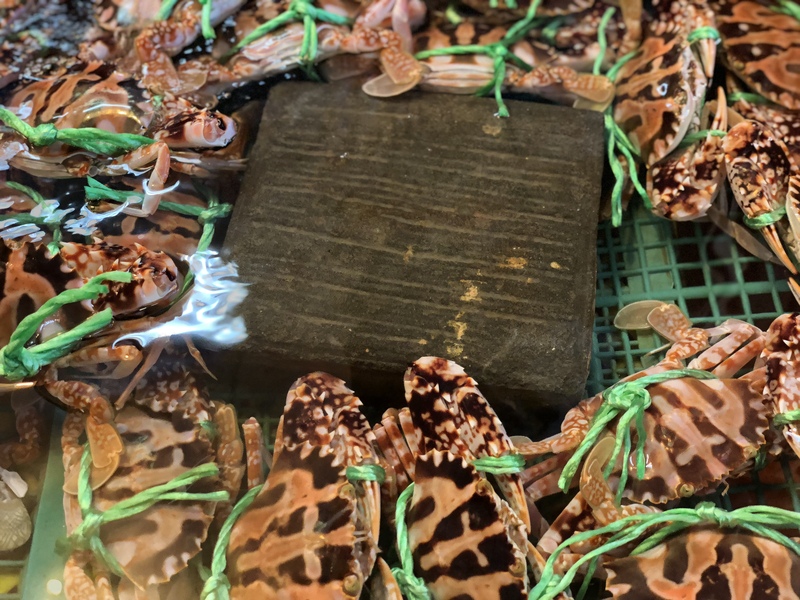 The crabs are tied with green ribbon to distinguish it from the crab's red color and also to prevent the crabs from attacking anyone with their claws. Meanwhile, a group of neighboring sea snails attempt to escape their enclosure. 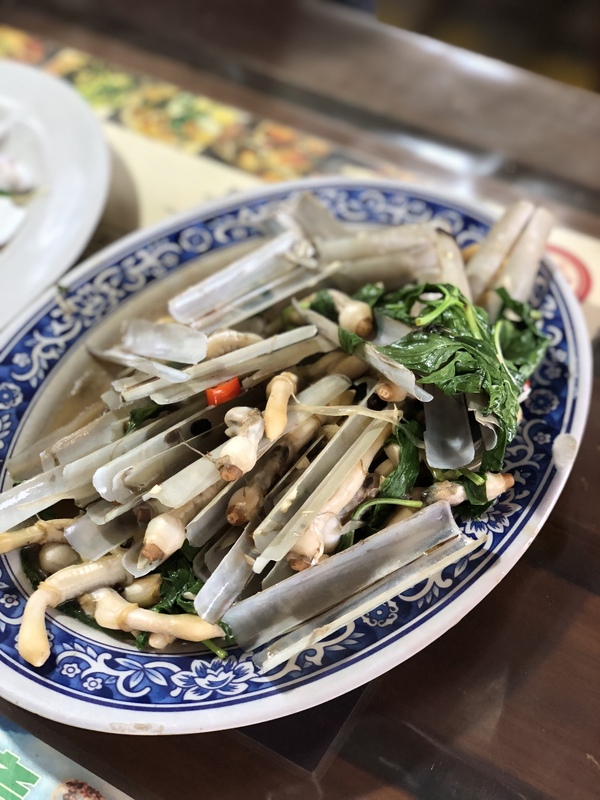 A popular dish in Taiwan is clams with basil. The fresh clams are stir-fried with chopped garlic, shallots, chili and a generous amount of basil. 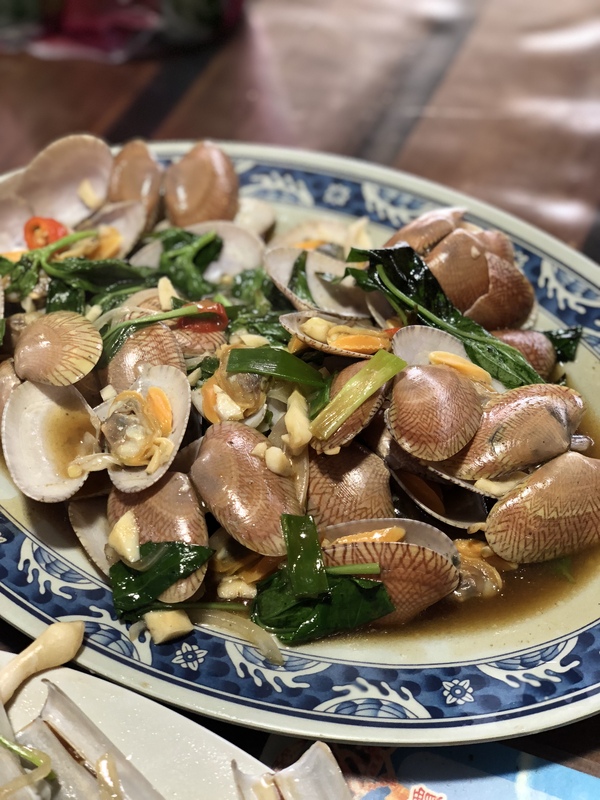 A unique dish consists of bamboo clams stir-fried with garlic, chili, basil and black bean. The clam resembles an old fashioned straight razor and burrows in wet sand very quickly. Coral trout braised with soya sauce and garnished with scallions, ginger and carrots is another favorite. 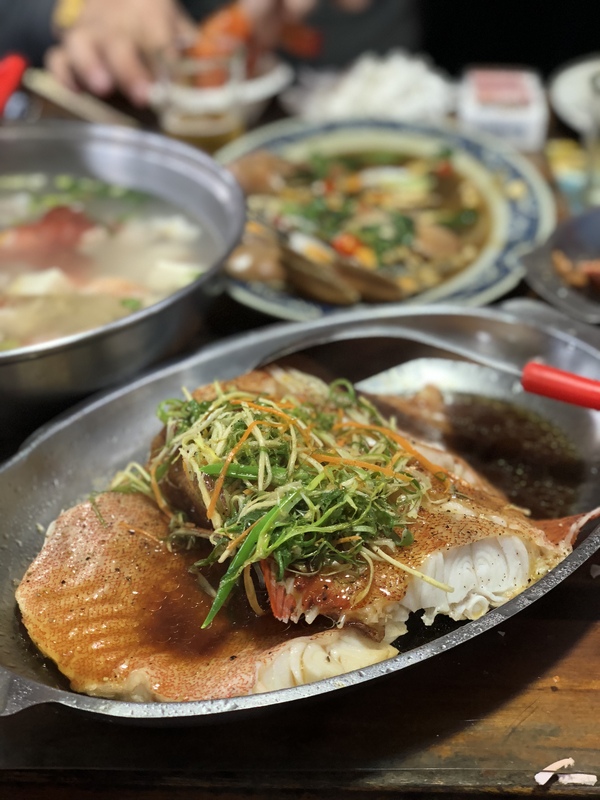 The fish is first steamed, making sure it is not too dry near the bone, before being doused with a mixture of hot oil and soya sauce to bring out the aromatic flavors. Bright red steamed flower crabs sit on a plate awaiting diners.